There's a lot to be thankful for in this crazy adventure called life and I love being reminded of one person in particular (and a few places 1, 2, 3), every time I look at my left hand and see my rings. 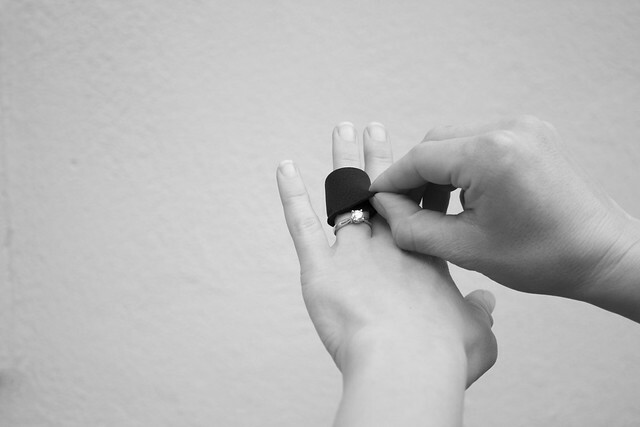 Ring Cozy helps protect the rings you love while doing the things you love. 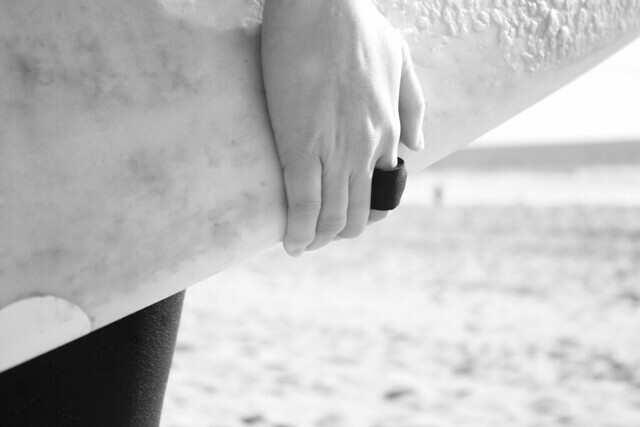 And in many cases, those rings hold special memories of cherished people and moments in your life. Thanksgiving is the perfect time to celebrate those special people and moments and we're doing so at Ring Cozy by sharing #RingStories on Instagram all week long. To join us on memory lane, take snaps of your ring, your favorite person, or that special spot in the park where you said "Yes!" 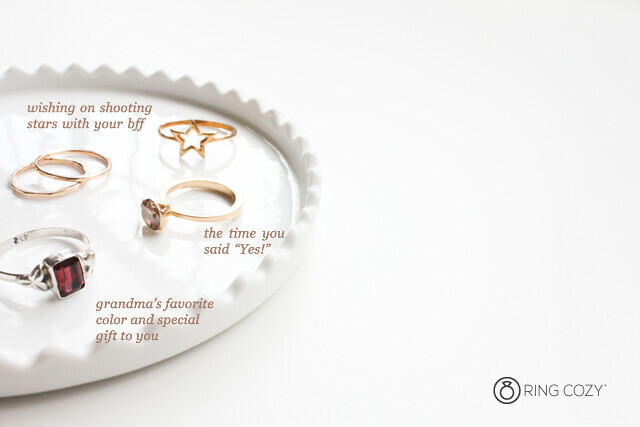 - I'd love to hear what your rings mean to you! Click here for more details and to see the special code to receive 25% OFF all orders today through Sunday, December 1. This will be the only sale for the year so get in on it quick if you have a few ring wearers on your holiday gift list! Ring Cozy makes an excellent stocking stuffer...just sayin'. Today is an exciting day. 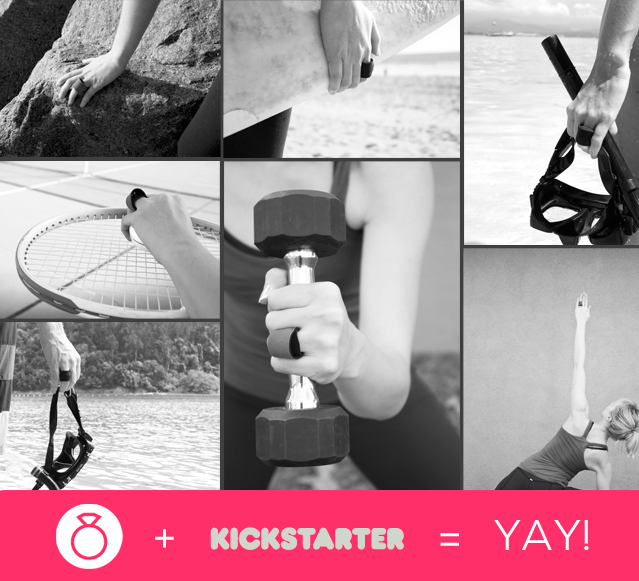 A day when I take a big leap of faith and launch Ring Cozy on one of my favorite websites, Kickstarter! It's been months and months (okay, nearly one year) in the making and I feel nervous, anxious, scared but most of all, excited. 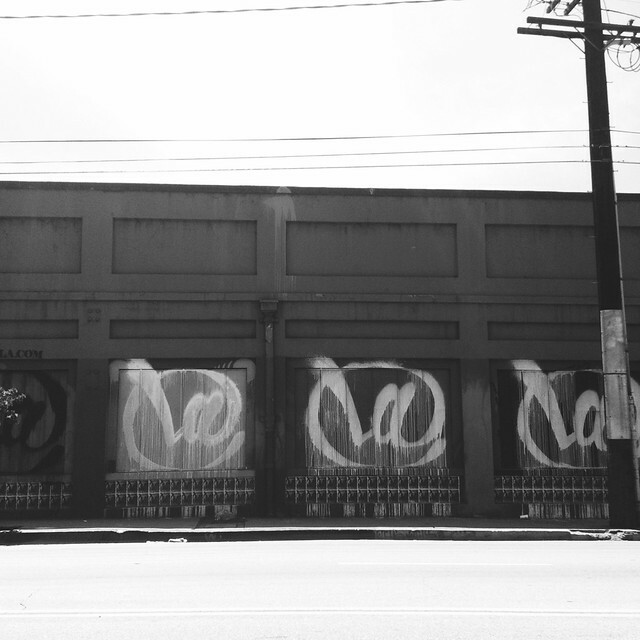 Beyond announcing my new venture here on the the blog I haven't really made a big public push. I've been working on manufacturing and fulfillment details and now that those things are set, I'm ready to really put Ring Cozy out there! 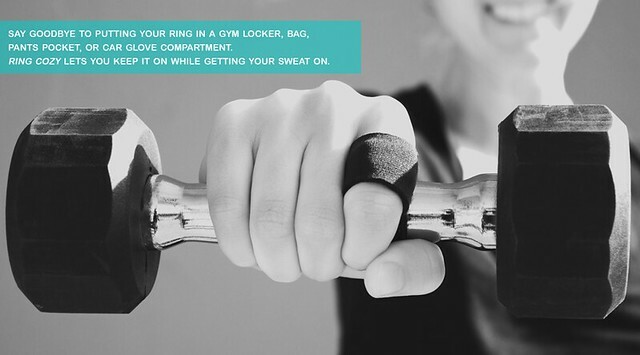 In case you're new to the blog, or missed this post, Ring Cozy is an activewear accessory that I designed after realizing that I was damaging my engagement ring's band while working out at the gym. I love my ring and since I never wanted to be without it I had to find a way to keep it on while comfortably protecting it during my activities. If you're not familiar with Kickstarter, it's a crowdfunding website that helps creative projects get funded by supporters in exchange for rewards (ie. being the first to receive the actual product they're helping to fund). In my case, the Project is getting multiple sizes and colors for Ring Cozy's first-run production. I chose to launch via Kickstarter for obvious reasons (manufacturing ain't cheap!) but mainly because as a supporter of past projects, I believe that the entrepreneurial and creative spirit of the website is amazing. Since Kickstarter operates on an all-or-nothing system for raising funds from supporters - and the project's duration is only 22 days - I need help in getting the word out early to make this launch a success! This is where and how you, my awesome readers and internet pals, can help: share the heck out of the project via your social media accounts and personal emails to your personal and professional contacts who might be interested in getting a Ring Cozy of their own. Any shares, likes, follows, and emails will be forever appreciated! 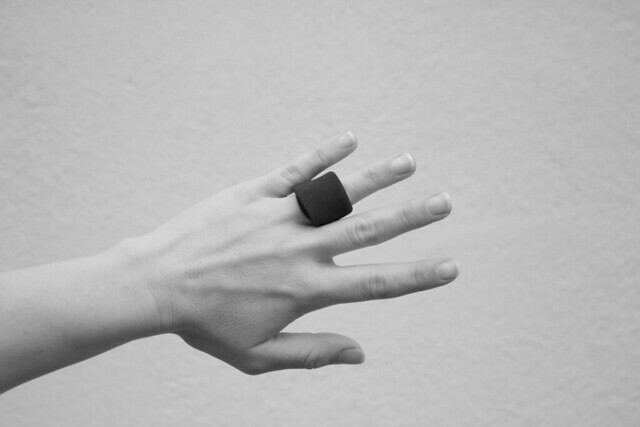 I really believe in Ring Cozy and the potential that it has to become an everyday activewear accessory for ring wearers who want to keep their rings on while enjoying their active lifestyles. Thanks for the support so far and many many many thanks for being with me for the journey ahead! Cheers to making things happen! PS - a huge THANK YOU is due to Michelle Mizner of Field Work Media for the awesome video! She is one talented lady. It's been a bit quiet on the blog front regarding Ring Cozy but I promise that it's been the complete opposite behind the scenes. 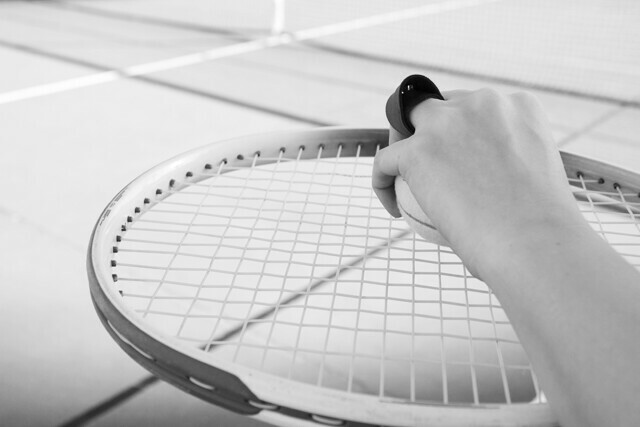 I'm putting the final touches on a really exciting next step and can't wait to share it with you real soon. 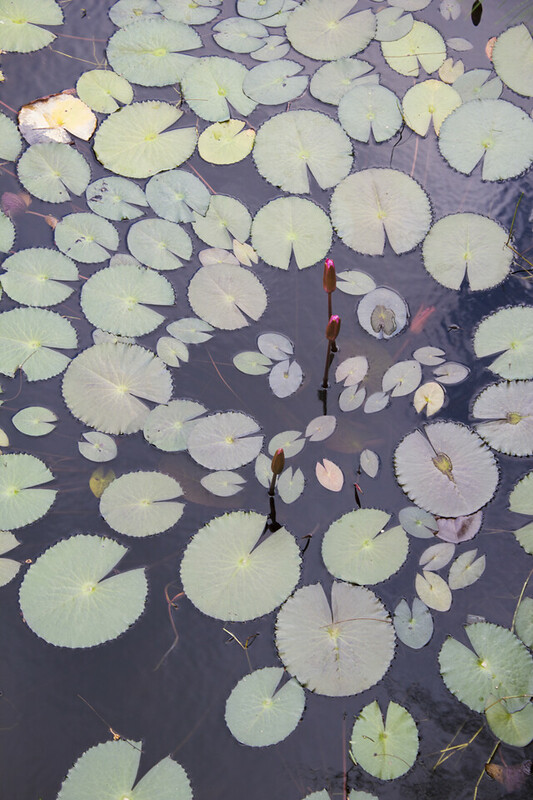 Just like the flowers in this lily pad pond, Ring Cozy is ready to bloom! Hi guys! I'm all packed and ready to fly back home today. This month was a total whirlwind but I'm leaving feeling a little wiser than I arrived. Met a lot of great people, saw a lot of encouraging things on the production end, and made it through driving around in traffic unscathed (cars are just not my thing anymore). Work stuff aside, spending time with my sister and nieces was the best. They are such beautiful people. As is our friend Jeanne who let me crash at her beach pad these last two weeks. I never got to live on the coast while in LA but I'm sold on the tranquility and community charm of Hermosa and Manhattan. You simply can't hate waking up and walking down to the strand for a run with an ocean breeze! I got very spoiled. I'll gladly leave the beach though if it means that I get to be back home with Joe. I miss my favorite person too too much. Loads of hugs and kisses await. And I know it's a bit late but thank you thank you thank you for your awesome support and response to my Ring Cozy announcement last week! I've got my work cut out for me but I'm definitely ready for it. P.S. a special thank you to Jan over at Poppytalk for this rad post!